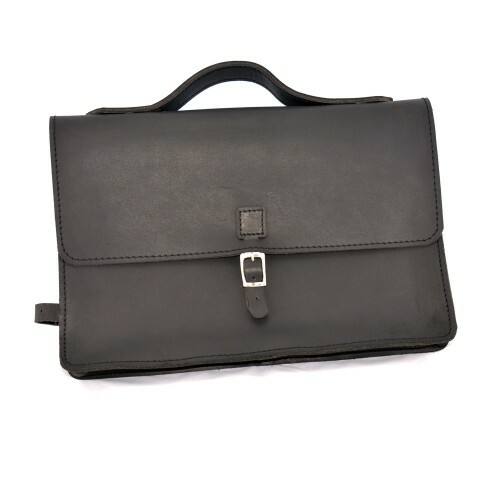 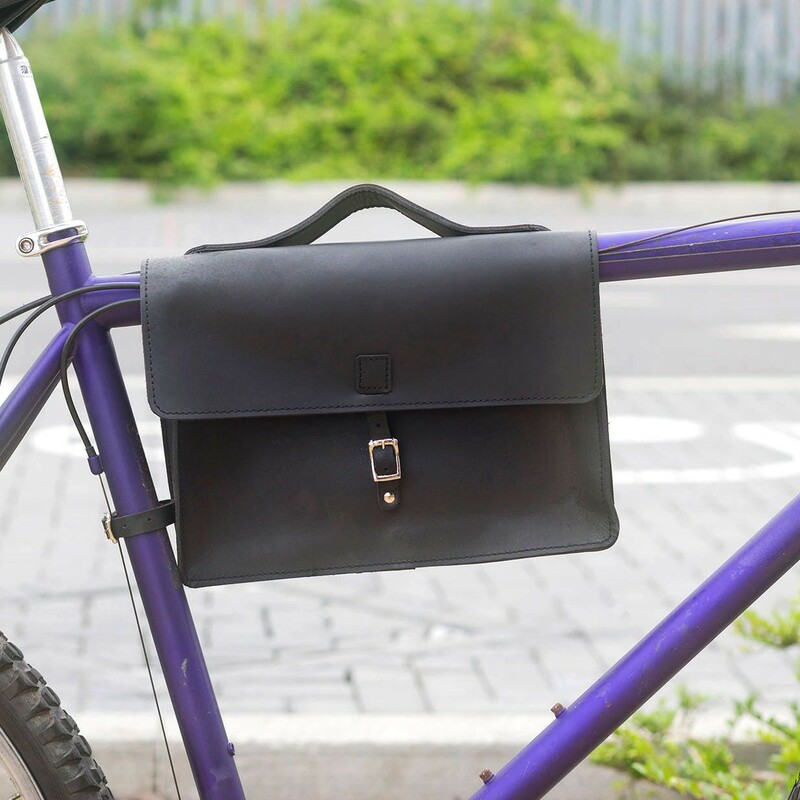 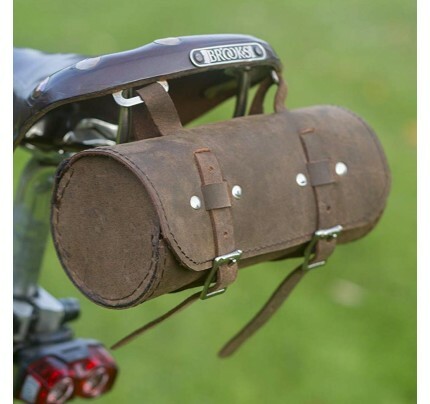 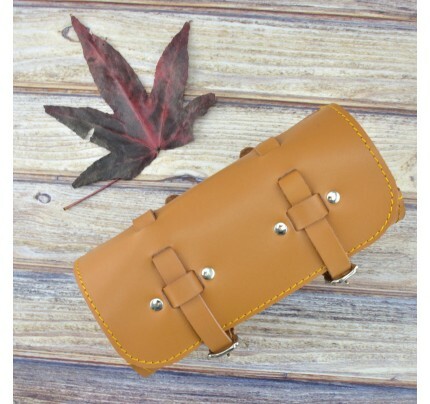 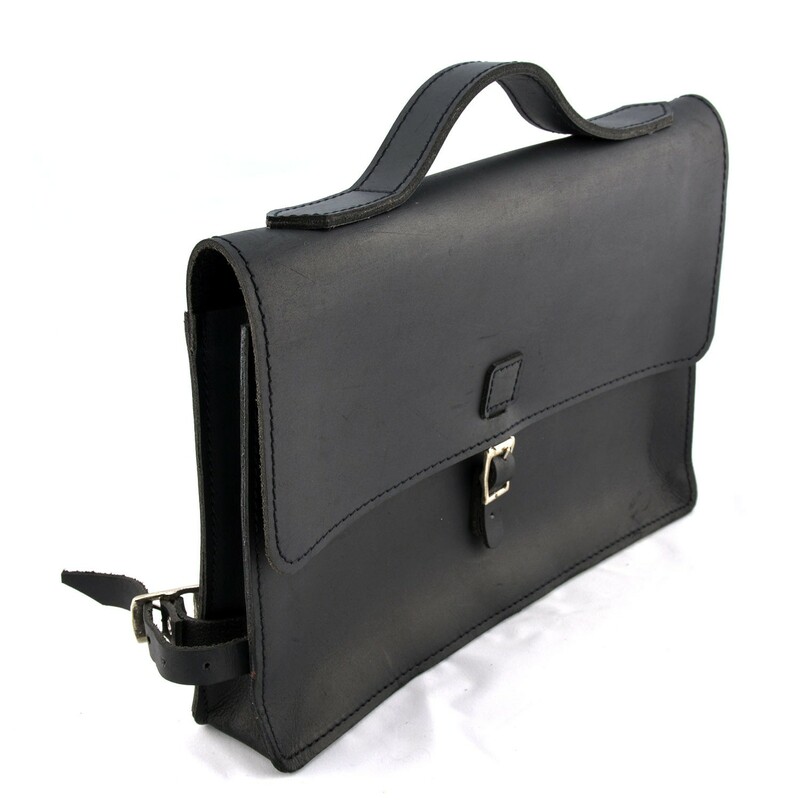 Bicycle Frame Bag in Genuine Leather. 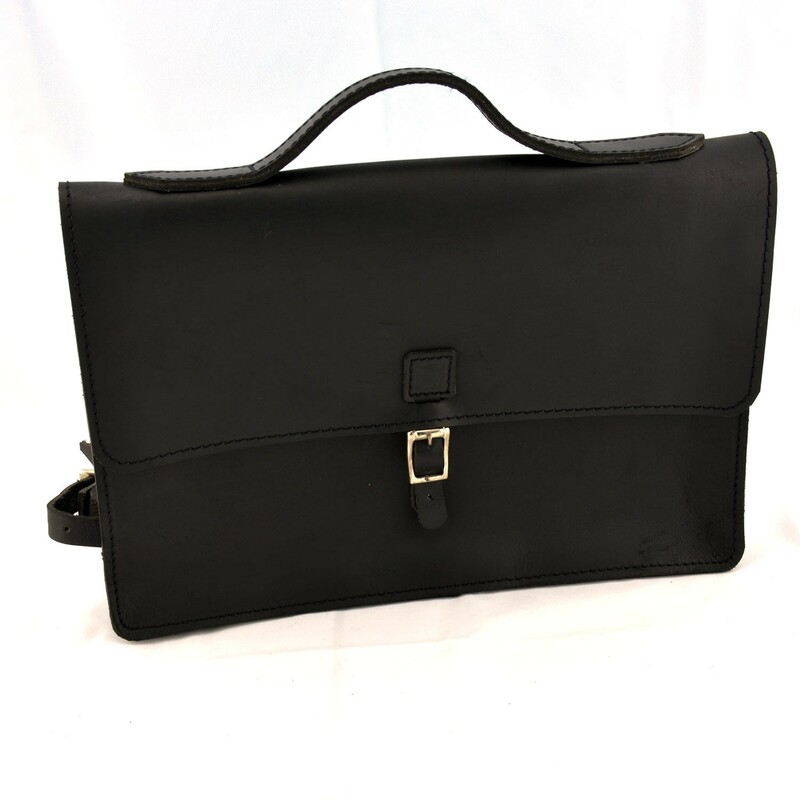 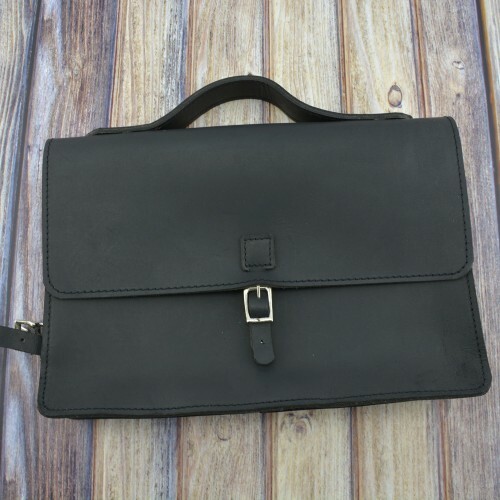 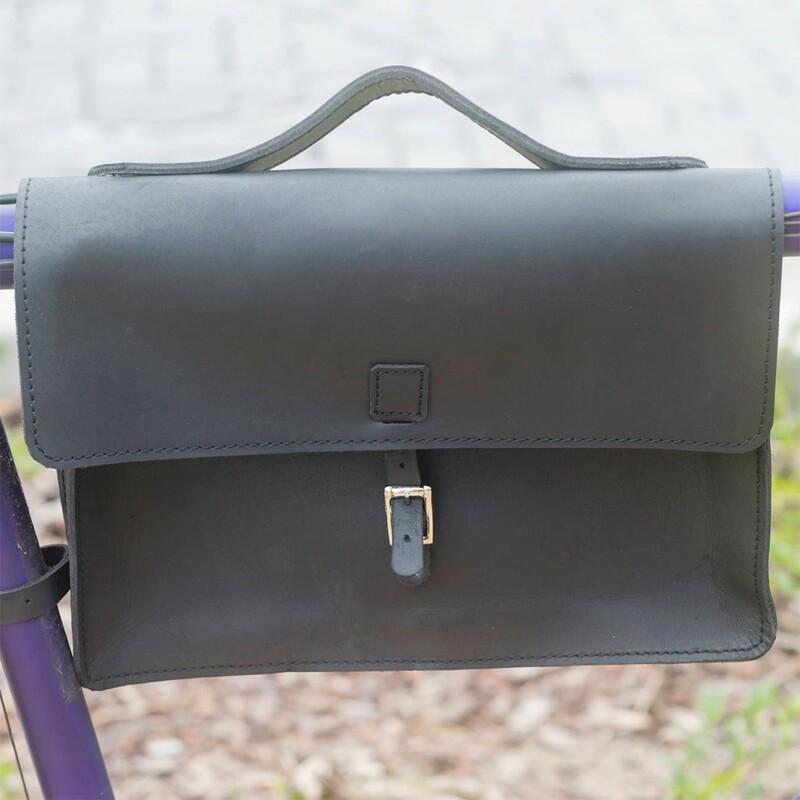 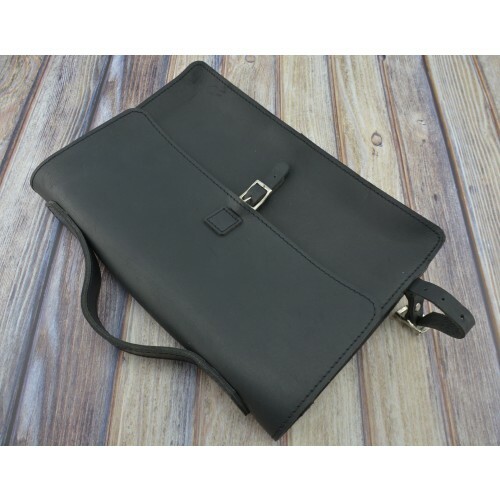 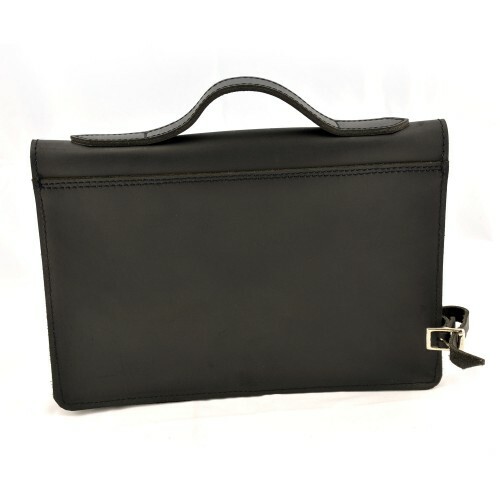 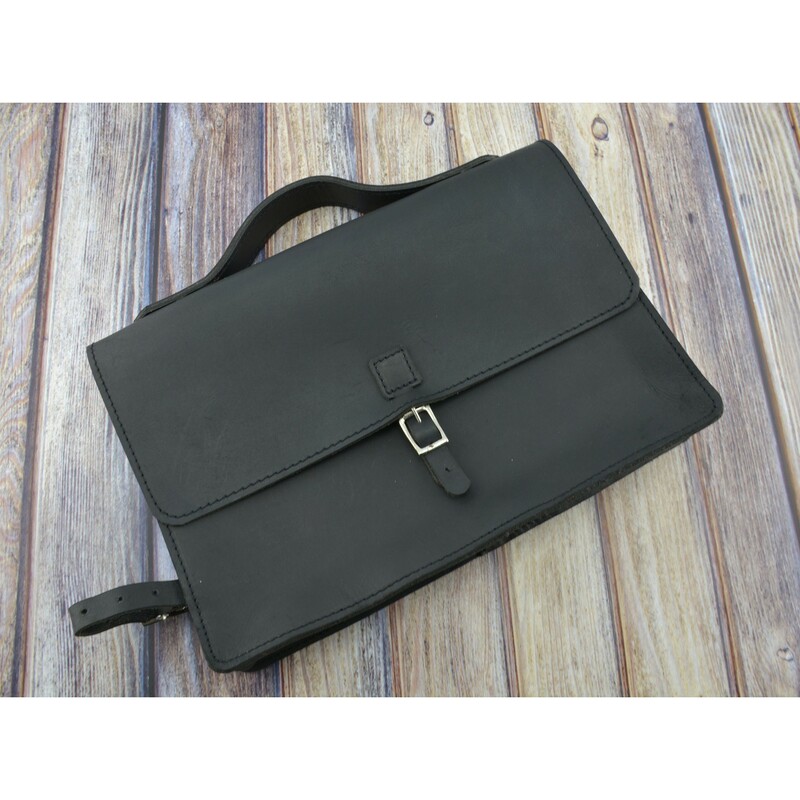 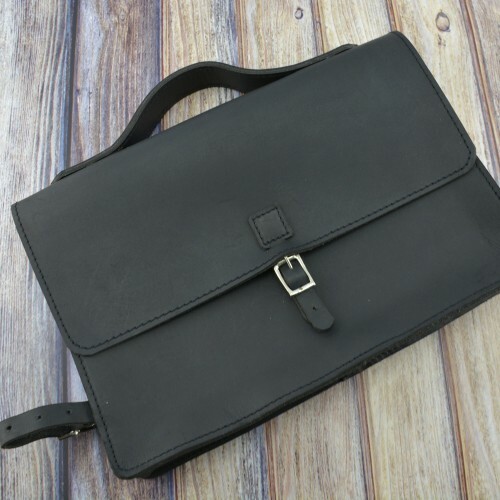 Bicycle Satchel Bag in black color. All the bags are hand made and stitched. 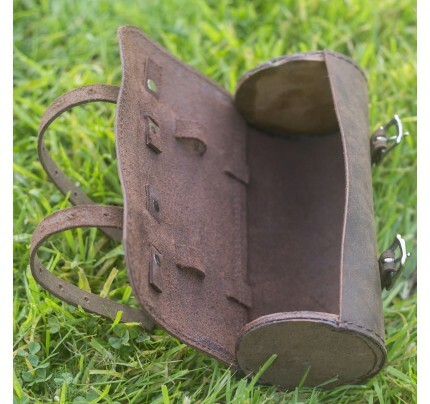 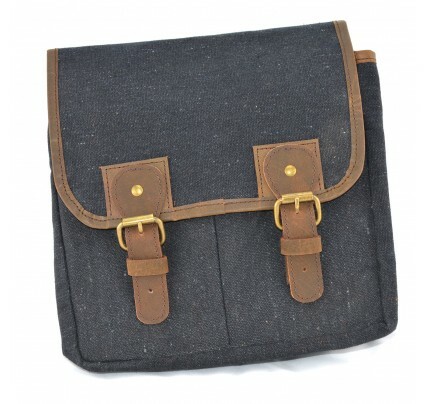 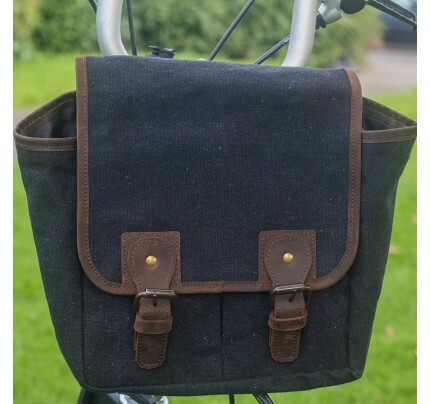 They can be used as a frame tool bag for your modern or traditional bicycle or to add that little extra something to a bike. 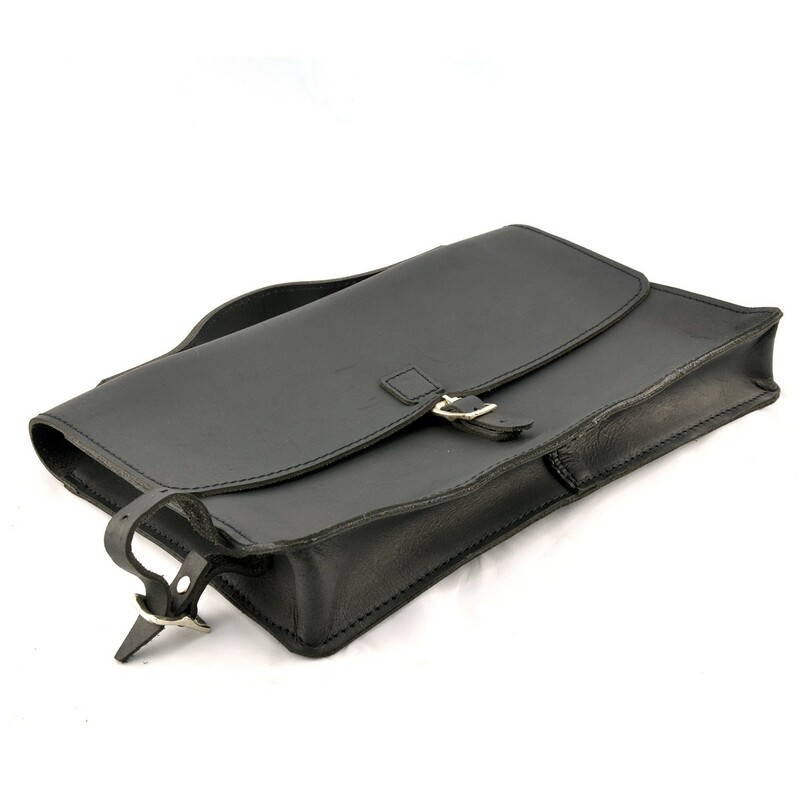 Each tool bag is individual and although new and never used, they may have some marks as would be expected for a handmade item. 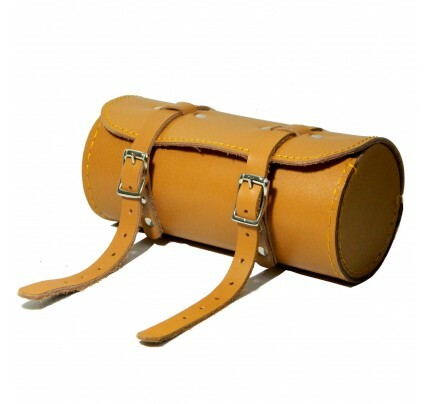 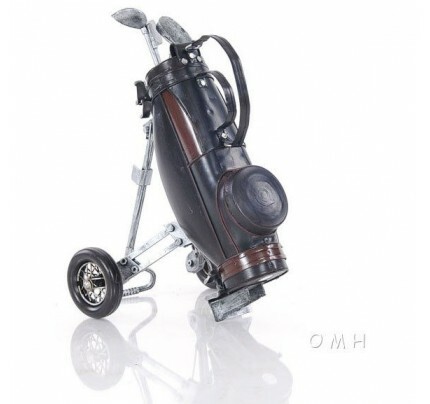 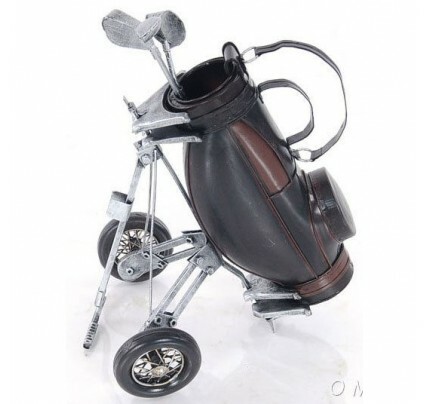 They are all made of strong long lasting leather and would compliment a traditional leather saddle.